By sharing both his music and philosophical mindset with the world, Sam Kurzontkowski, a freelance jazz artist and member of three different bands, is on the road to success. Kurzontkowski, a junior music major at the University of Rhode Island with a secondary in jazz bass performance, is originally from Hudson, Massachusetts. Throughout high school, Kurzontkowski was always musically inclined and formed two smaller bands. Currently, he is a member of bands Prism, Mmere Dane and The Four Agreements. 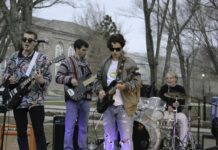 Prism, a jazz-rock fusion trio, consists of guitar player and URI student Clay Nordhill, and his father, Jim Nordhill on drums. Mmere Dane includes graduate students from UMass Dartmouth. The third band, The Four Agreements, is a collaboration between URI graduates. 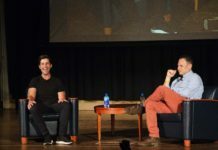 Kurzontkowski said that The Four Agreements actually held their first concert this past Friday, at venue AS220 in Providence. Kurzontkowski explained how he had thought of himself as a musician throughout his entire life. He said that he did not come from a musical family, but his father used to listen to a lot of music growing up. He recalled listening to classics, such as Pink Floyd, Led Zepplin, The Who and Parliament. Though he did not listen to jazz music a lot, he still had an appreciation for it. At the age of 4, Kurzontkowski practiced ear-training on the electric piano he received for Christmas that year. Mimicking songs on commercials turned into a common challenge. By the time he was in middle school, he was already learning to play some of the 17 instruments he currently can perform with. These include upright bass, electric bass, tuba, saxophone, accordion, ukulele and guitar. At this age, he started to listen to a lot of metal and progressive rock music. During his freshman year of high school, he had helped form his first band, called The Dropouts. He explained that the band name was purely ironic, because all of the members were honor roll students and salutatorians of their classes. During the summers in-between his sophomore and junior year of high school, Kurzontkowski had attended a band camp at UMass. He said that in the course of the second summer, he met three other jazz musicians, who lived in the town next to him, in Marlboro, Mass. The three students invited Kurzontkowski to play in their band as a bass player, despite their town’s rivalry. Although the band only played gigs in small venues such as wine tastings and coffee shops, Kurzontkowski was given the chance to perform original music. At URI, when Kurzontkowski joined the music department, he took on the tremendous effort of participating in seven different ensembles in one semester. Currently, he is only involved in the Wind, Orchestra, Big Band and Euphonium ensembles. He explained how his first “big” band took off at the end of his freshman year in college. Sam’s Prism bandmate Jim, had a recording studio in the basement of his house in Portsmouth, R.I., so the trio held practices there. 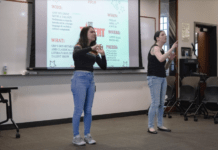 They have performed at AS220 in a bi-monthly concert series titled “Is This Jazz?” Following the show, Prism began rehearsing two to three times a week, practicing for about four hours each time. Kurzontkowski said that they started to put out new material, and promote themselves. About a month ago, Prism began to record their first album. He said that as a band, they need to go back and retract a few songs, then work on the digital mastering and album art. Prism expects to release the album around sometime in May and hold a release party in Providence. Additionally, Kurzontkowski’s other band, Mmere Dane is set to start recording an album on March 15. Kurzontkowski can be found playing on Feb. 12 in a quartet at Stomping Grounds venue in Putnam, Conn. at 8 p.m. He will also be performing in two shows on Valentines Day, Â at The Public Kitchen and Bar in Providence at 2 p.m., and at Bar 31 in Bristol from 7:30 to 10:30 p.m. Then, on Sunday, his performance weekend will continue at Aurora in Providence at 8 p.m. All three bands can be found on Facebook, where they post all updates, shows, and new tunes.